Where You'll Find Me was a surprisingly short read. At just over 200 pages it makes for quick and fairly light reading, but it was enjoyable. It also wasn't what I was expecting at all, not that I can quite put my finger on what it was that I originally expected from the book. I think I thought it was going to be a darker, creepier read. But, I think that's the part of me that is freaked out by the idea of some stranger living in your garage without you realising it. It did make me glad that most of the houses near me are attached and I don't have a garage. Although, if the guy was as attractive and sweet as Nate turns out to be then I don't think I would mind half as much. 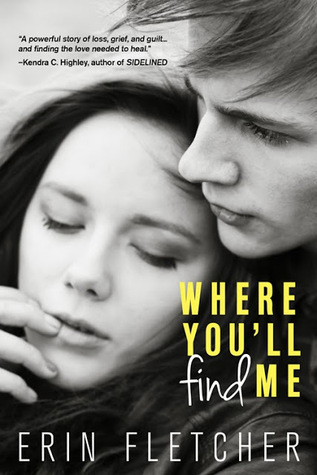 Where You'll Find Me had aspects that really showed the difference between where I am from and where the book is set. Hanley sneaks out a lot at ridiculous 0'clock in the morning to go to parties and get drunk. That just doesn't happen where I'm from, especially at her age. Not because we are all raised to be well behaved children who don't lie to their parents, but because at sixteen you'd still be living with your parents and there would be nowhere to have a party at 2am. Unless you were lucky, like my friend Scott, who's dad didn't care if he had people over drinking all night - which is where being a sneaky teenager and lying to your parents had to come into play. Also by age sixteen you kind of have more freedom and can go to parties and just be allowed to crash and spend the night. But, in these kinds of books there always seem to be absent parents who are 'out of town'. I just go with it because from reading books or watching films/TV shows set in the US, this is apparently totally normal and happens all the time. Hopefully strange boys living in your garage without you knowing is not as common. Hanley and Nate are both great characters because they have their share of secrets. Hanley has no idea why Nate is living in her garage or why he won't tell her about his life. And Hanley is struggling to deal with feelings she has repressed since she lost her best friend years before. Hanley drinks to deal with her problems and Nate, apparently, runs away to get away from his. I was definitely intrigued to find out more about Nate and why he was there. I didn't expect this to be as unbelievably cute as it was. I expected more secrets and intrigue but the romance was the main part of the story. I kind of got lost in it after a while and couldn't really care less what Nate had done to end up in her garage. These two together were super adorable and they had their fair share of awwww moments. The ending was a little too happy, happy. happy for me; a little too gushy and overly sweet but as a whole I really enjoyed this story. This was a short read but it didn't feel like it missed out on anything. I felt like I really got to know the characters and the story developed well. Nothing felt rushed and this didn't need to be any longer than it was. It was a really enjoyable read, even if a little melodramatic at times. I probably won't reread it but it was a good read and the romance was really sweet. 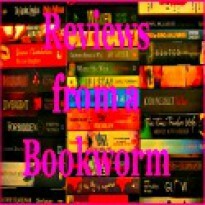 *I received a copy of this novel from the author/publisher/publicist via Netgalley in exchange for a free and honest review and received no monetary compensation for this review.